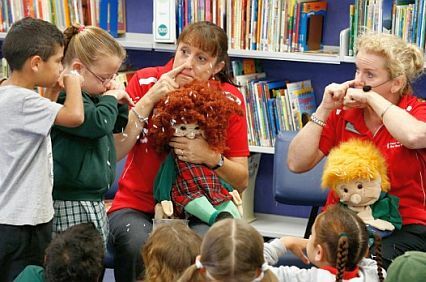 Based in Dubbo, NSW, we provide free ear health education, targeted hearing testing and free access to ear specialists to children in Dubbo and Districts. We are non for profit and not Government funded. ​Our program has a combined Health AND Education focus. We are very committed to promoting ear health/hearing loss prevention strategies and provide age appropriate ear health education for students, staff and community members. 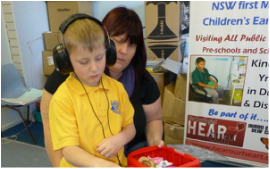 We provide Audiology staff to provide hearing tests at school for those children whose teacher or parents have targeted as having a possible hearing problem. We rely solely on local partnerships and community donations. We have local committees in Gilgandra, Wellington, Narromine, Trangie, Warren and Nyngan. We travel to local schools for our trained teachers to teach prevention and awareness of otitis media and hearing loss. Our lessons cater for children in childcare up until end of Yr 12. We have been providing our services at local schools since 2014 in their classrooms and then from 2017 in our purpose built mobile soundproof audiology clinic. Ear Specialist Clinic program, supported Australian hearing appointments, Department of Education hearing support.